The Plough is nestled in the middle of Greetham, a rural village in Rutland just a few miles from Oakham. This family-friendly and dog welcoming pub serves food daily, local ales, ciders and delicious afternoon teas, coffee and cake. In the summer you can sit out on their south facing terrace and make the most of their sun trap garden with a glass of fizz (or two). Roll on the summer hey! The Plough is not just your village pub, oh no. It’s a tearoom too; offering coffee and cake in Rutland. 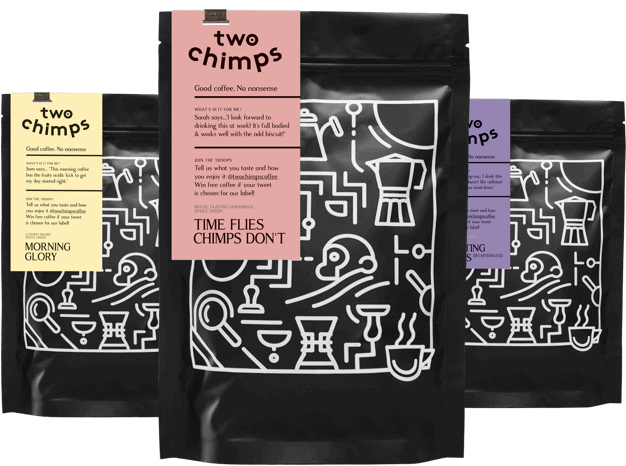 Pots of freshly brewed tea, home-made sandwiches, cakes, truffles, scones and… you guessed it, Two Chimps Coffee. Here at Two Chimps we only roast ethically sourced, speciality coffee which can be traced right back to the very farm in which it was grown. The particular farm may only have a small harvest each year, so when it’s gone, it’s gone. But don’t fear; when a coffee runs out we get something new. The new coffee will have a similar taste and flavour, but it will be sourced from a different part of the world and roasted to suit its natural flavours. This means that the coffee at The Plough will always change from season to season. What an awesome way to firstly try lots of different coffees, and secondly, to keep going back for more cake. Currently, the coffee served with cake is a coffee from Honduras. This coffee is freshly roasted and delivered every week. Not only does the plough serve speciality coffee to drink, but they use it in the mouth-watering cakes too. From mocha chocolate marmalade truffle cakes to indulgent coffee chocolate truffles, it all sounds like a coffee lover’s dream. So, get yourself to The Plough in Greetham for coffee and cake today! Want to see where else you can try Two Chimps Coffee?